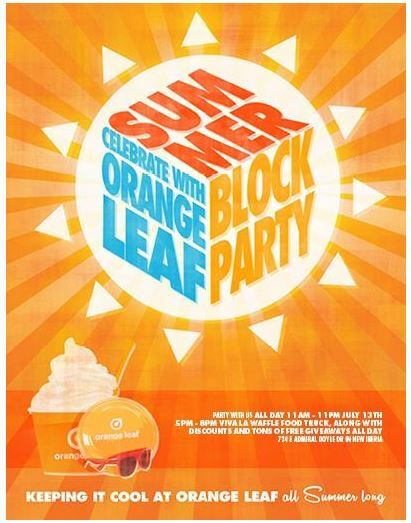 New owners, Rusty and Claire Steele, invite you to Orange Leaf’s ” Block Party” to be held on Saturday July 13th. There will be plenty of sweet deals and prizes to celebrate the start of The New Iberia Store’s third year in business. Prizes, specials and give-a-ways begin @ 2:00pm through 8:00pm. 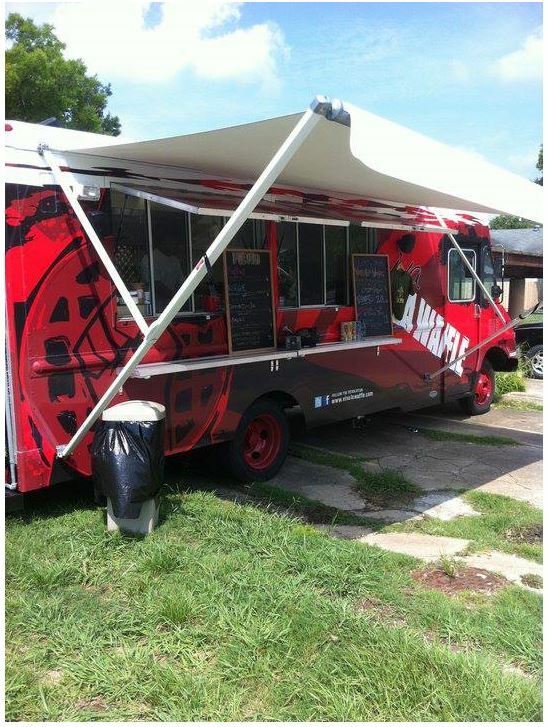 Thw World famous Viva La Waffle Food Truck will be serving from 5:00 pm to 8:00pm. 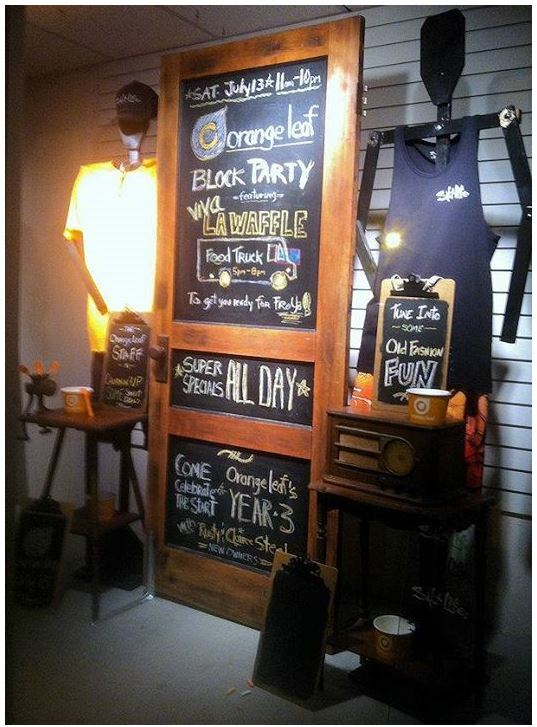 This entry was posted in Orange Leaf Yogort. Bookmark the permalink.